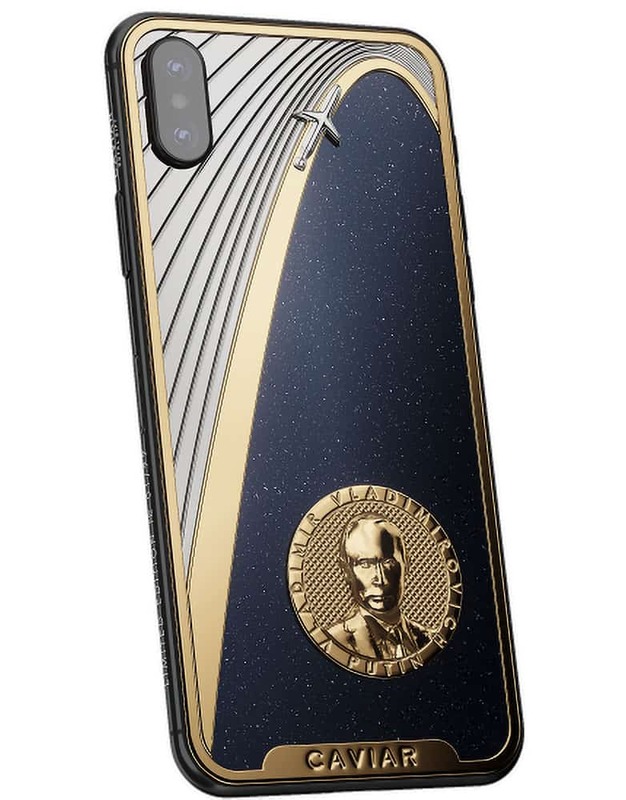 The limited edition iPhone X plated with gold and titanium features an engraving of a stone-faced leader with a long-range missile soaring above his head. The price starts at 249,000 rubles, which is just under $4,000. The U.S.-Russia relationship has soured and Putin’s hardline stand against the West has fed his popularity with the Russian people. This iPhone X is handsome yet aggressive. Caviar has been making various iPhone designs celebrating Putin since 2014. The very first phone with his face in gold sold out in two days, Caviar’s Anna Lubova told Cult of Mac. The luxury brand does not make iPhone cases. 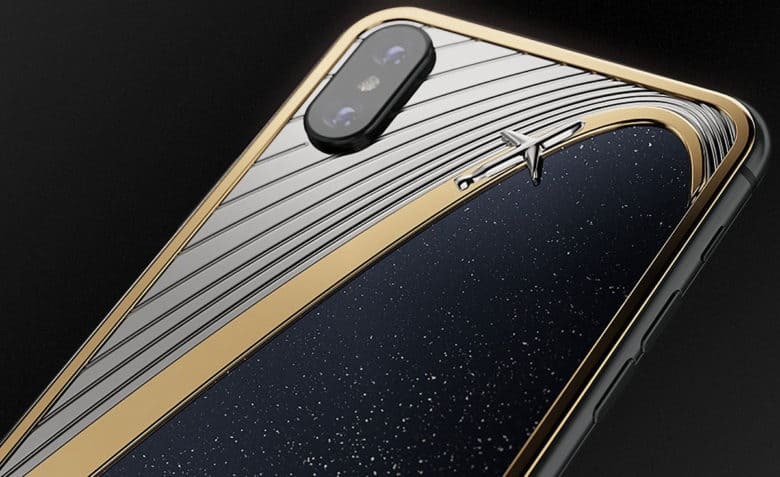 It’s artisans instead apply a double coating of electroplated gold to an iPhone chassis and then applies hand-engraved images and embellishments, such as precious gems, pieces of meteorite and volcanic rock. Wealthy Russians happy with the 2016 presidential election could celebrate with a gold-plated Trump iPhone. Visitors perusing the Caviar website will find all sorts of designs that are stunning and politically neutral. The company also gold plates Apple Watches and iPads as well as Android smartphones. On its website, Caviar brags about some of its more famous customers, which include Russian actors and athletes. Actor and ex-patriot Steven Seagal carries a Caviar phone. Limp Bizkit frontman Fred Durst purchased a gold Putin phone in 2015 while the band toured Russia, according to the website. “Designs dedicated to Vladimir Putin are very popular among customers and it shows how much they support (him), how much they are proud of Russia and they do not want to be silent about it,” Lubova said. “Most of our customers are from Russia. They are owners of businesses or top managers of big corporations. Caviar will stop making “Putin Ultimatum” at 99. It was introduced earlier this year after Putin announced Russian engineers had developed a new cruise missile. The description of “Putin Ultimatum” on the Caviar website is fun and appropriately bellicose. 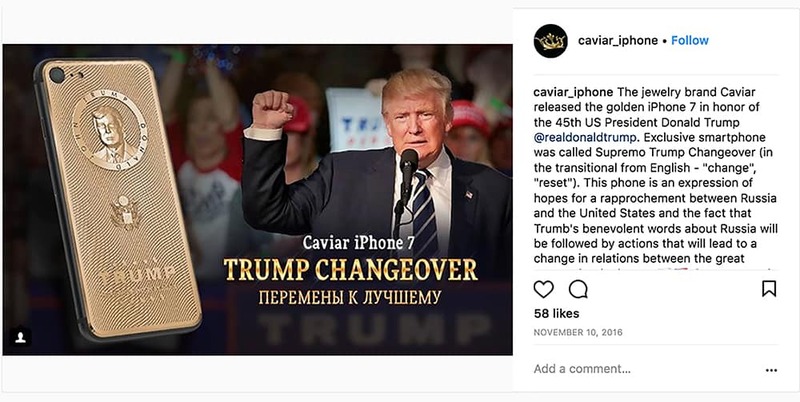 Caviar also issued a Putin phone shortly after his landslide re-election. Lubova would not say whether Putin carries a Caviar phone adorned with his likeness.